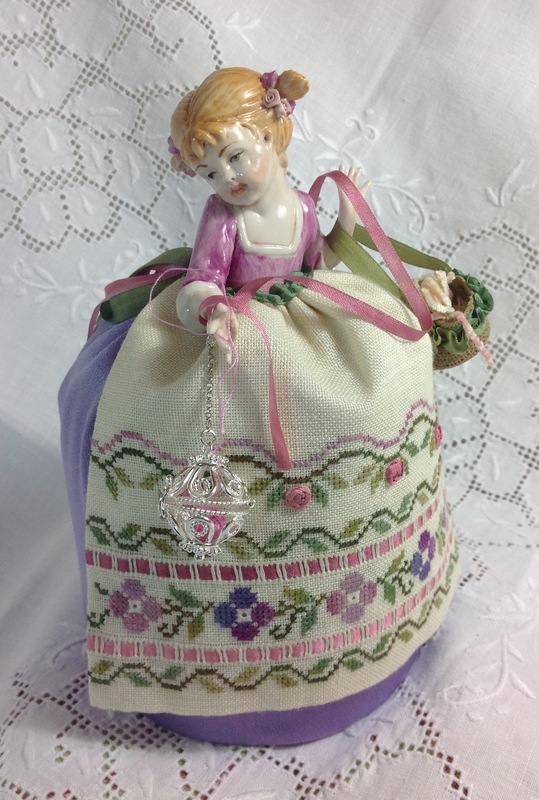 The kit will include the original Capodimonte doll as well as all stitching and finishing materials, including materials for the canvas basket, hand dyed silk threads and ribbons from The Thread Gatherer and Italian linen fabric. 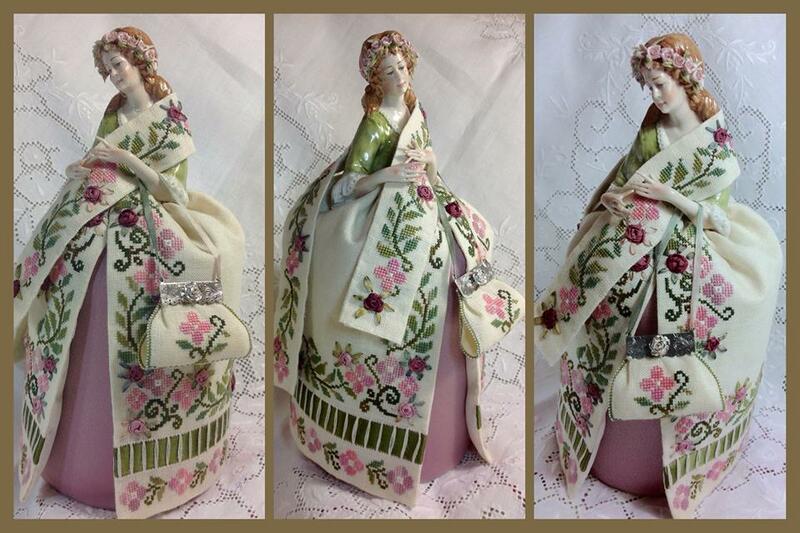 This class’s unique model features a beautiful, handmade Capodimonte porcelain half-doll, 3 1/2 inches tall from its waist. Each half-doll is unique, with detailed facial features, a beautiful rose garland around the head and tiny fingers open over the hands. In this class, the skirt, stole and purse for this doll will be stitched with silk threads and ribbons matching the colors of the bodice and rose garland. The kit will include the doll as well as all stitching and finishing materials. 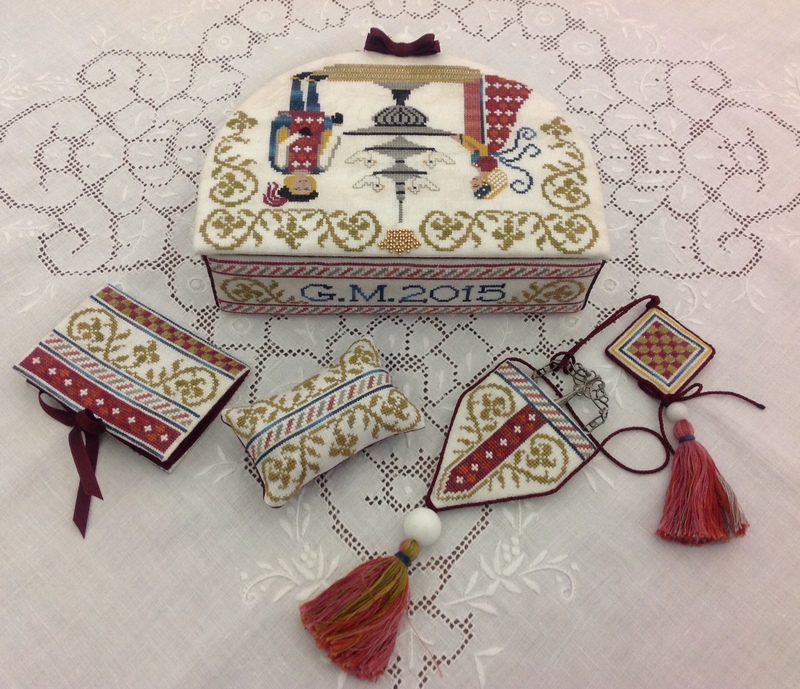 Antique Italian motifs inspired the creation of this sewing box and its accessories. 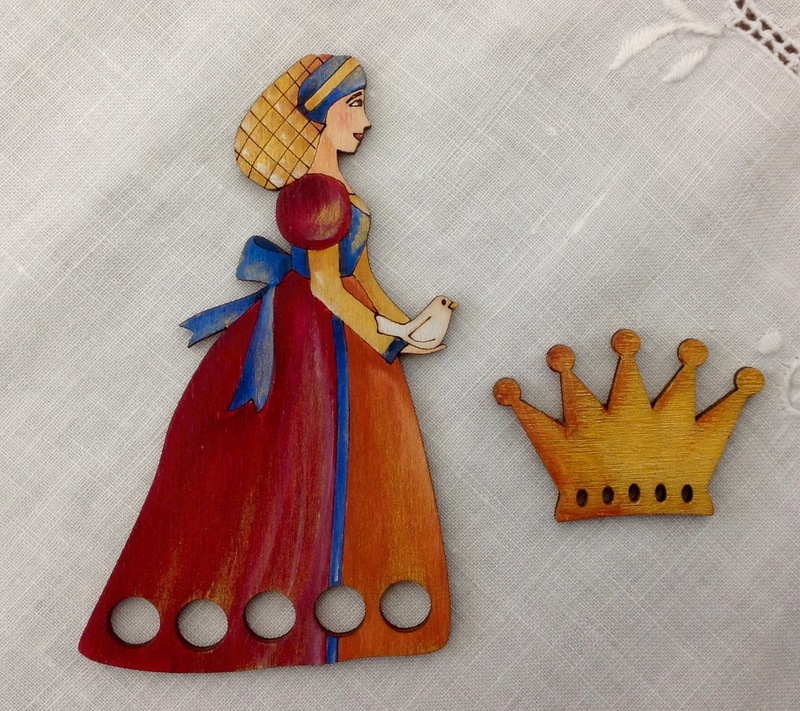 Motifs are taken from the medieval Malaspina Castle of Massa and the beautiful Fine Arts Academy of Carrara. Massa and Carrara are both towns located in the Apuania Province of northern Tuscany. 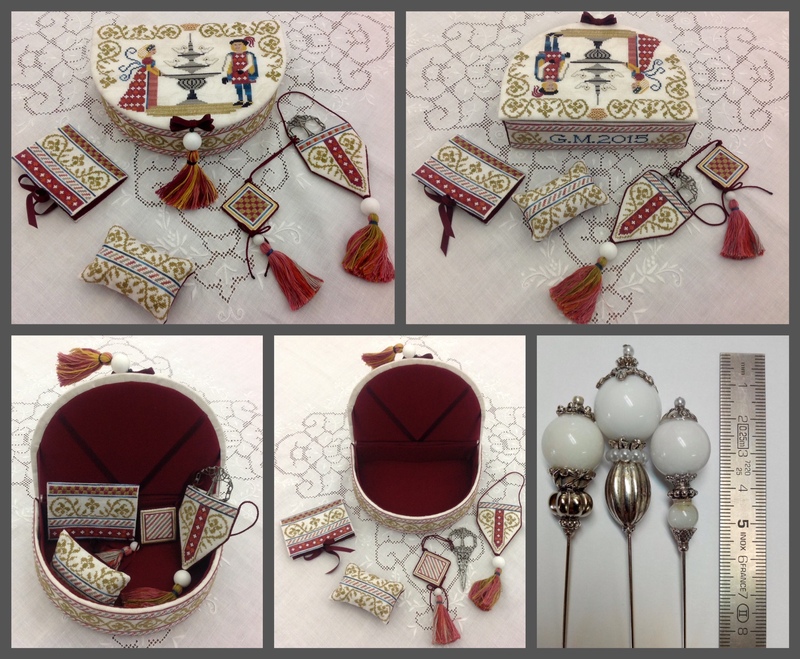 The box and scissors fob are decorated with Carrara marble beads and white opale beads, turned and polished by hand and created just for this special class. 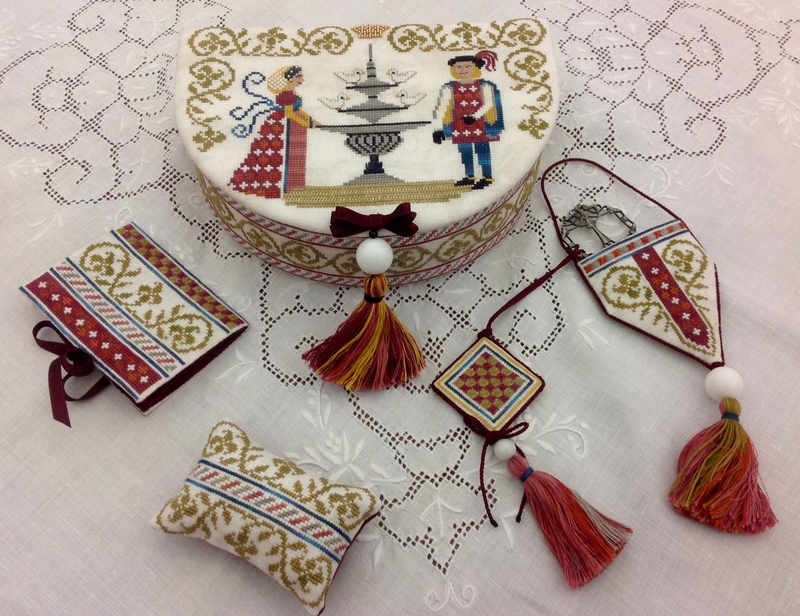 Stitched with silk threads over hand-dyed lined, the box features a needlebook, scissors fob, pincushion, scissors case and matching decorated wood needle minder and thread winder. 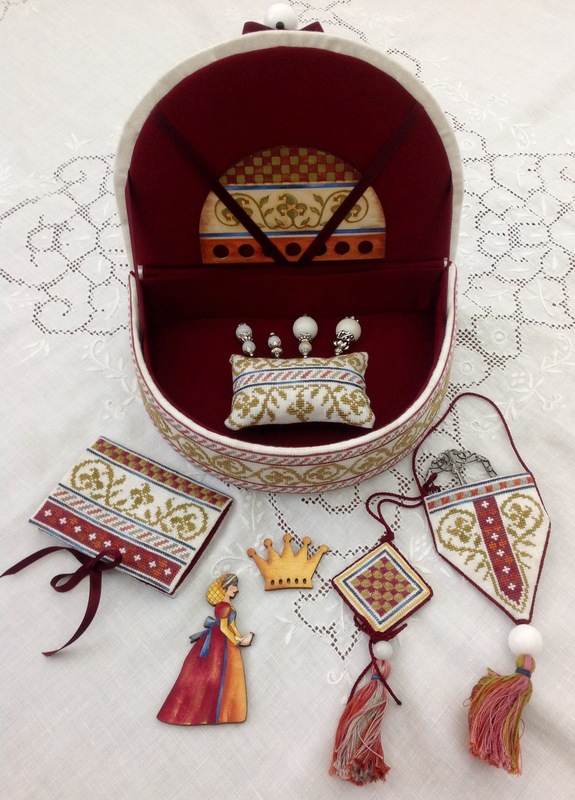 The kit will include stitching and finishing materials, marble beads and decorated wood needle minder and thread winder. Stitching and finishing instructions as well as information about the historical places inspiring the model will be included.